Humidity levels soaring high making you kind of want skip autumn and just go straight to winter. Yes, July is my favorite month of the year and I adore summer out of all the seasons. It's not difficult to do so if you were born in a tropical country, yeah? However, the past few weeks have been such a drag with all heat that we’ve been getting all over the country. A few steps outside and you would feel your sweat dripping. That is not a very pleasant feeling, right? We’ve all been there. So what is the best thing to do when the country you’re currently residing in puts “Ocean Day” in the calendar in summer? Of course, you hit the beach. But, what if you live in the East Side of Tokyo? But, what if it would be too hot and I’d end up getting heat stroke? But, what if you stop asking all these questions and just head out? That’s exactly what my friends and I decided to do on Ocean Day. Although at first we really didn’t have any idea which beach to go to and how to spend the rest of the hours after. Well, luckily we all managed to do just fine. For those who don’t know, if you live in Tokyo, you can either decide to go to the neighboring prefectures, Chiba and Kanagawa to see the ocean. We chose to go to Kanagawa since it’s near Kamakura and one of my friends haven’t been there. I have been to Yuigahama and Kamakura Beach in the past and despite the crows trying to get a share of your food and the crowded and less attractive beaches compared to that of home (Philippines), you just embrace everything that is given in front of you if you truly love the ocean. For no specific reason, we chose to hit Inamuragasaki carrying with us a rather low expectation. 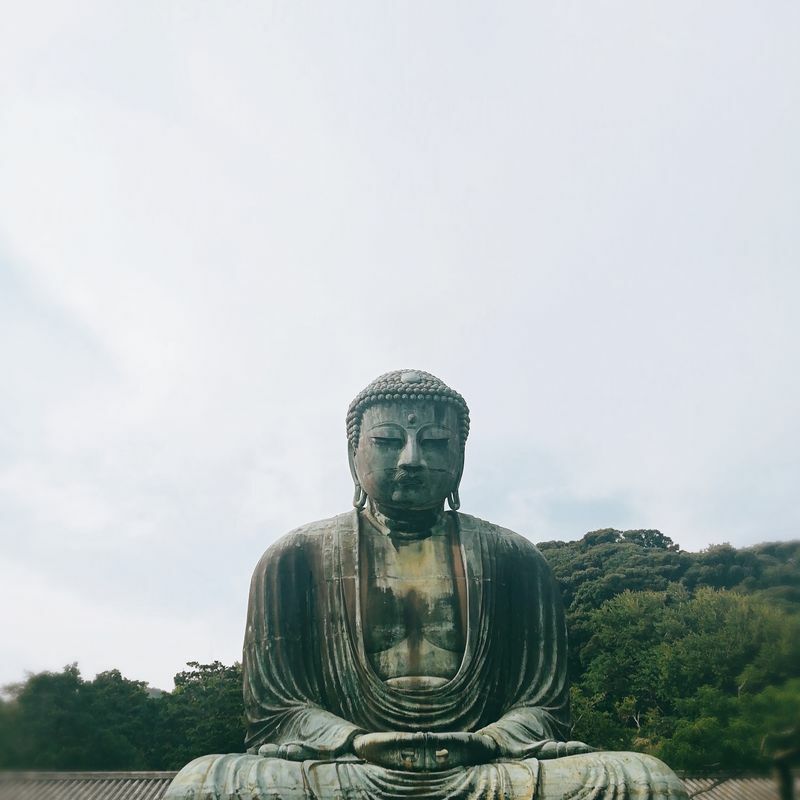 It took almost two hours from the East Part of Tokyo to reach Kamakura. If you haven’t been there, remember that you can stroll your way to the different beaches from the train station. However, I would recommend you to try the Enoden Train. It’s this old-school train which is usually crowded but would efficiently take you to the coastal parts of Kanagawa. 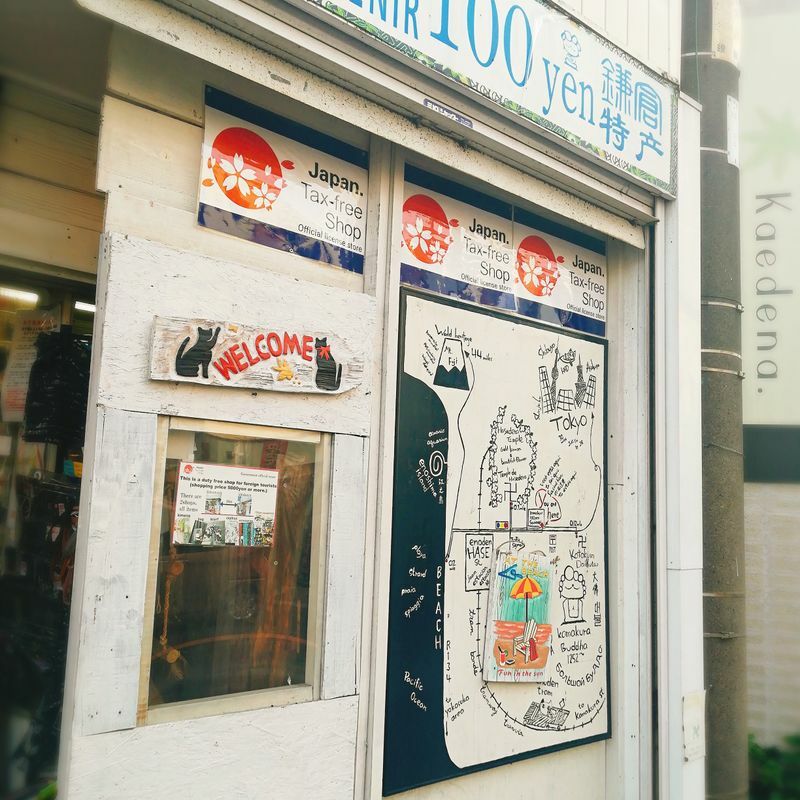 Just a few minutes from Inamuragasaki Station, you can find a 7-Eleven. I recommend you to drop by for some refreshments since there aren’t a lot of shops near the beach. After our short shopping spree, we head out to the beach. I think the best part of this beach is that it’s accessibility from the station. After a few minutes, you can witness this scene below. I suggest you to go there before noon so you can grab a perfect spot for your tent and to avoid the crown (not that there it was really crowded though). We set up our tent and started eating our snacks/lunch. One important thing to take note though, there are no lifeguards around the area since it’s not really a place recommended for swimming. Surfers dominate the area so if you wish to go swimming, avoid this beach. As for us, we were just satisfied dipping into the cool waters and had a blast waiting for waves to hit our backs by the shore. 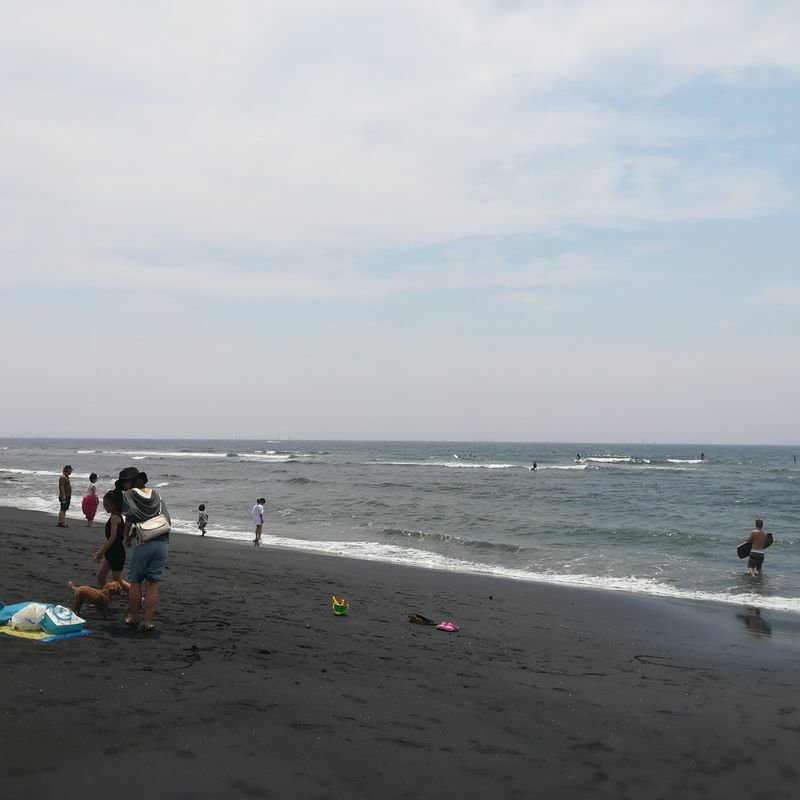 Another downside is that, unlike other beaches in Kanagawa, this one didn’t have an area where you can take a shower. Yes. You got that right. We ended up staying salty all day. Oh, and remember when I told you to come here earlier? Well, there’s a reason for that. Kamakura has tons of stuff to offer so going to the beach is not the only thing you can do satisfy your wanderlust. After taking a nap by the beach, we decided to head out and go wiped ourselves with towels since there weren’t any showers around. And what’s the best way to enjoy Kamakura? 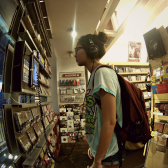 As it was my second time going there, I served as the awesome and trustworthy guide to my friend. I hope you see my sarcasm in this. Once we’ve reached Kamakura Station, we decided to go for the Big Buddha. How to go there? Ask the friendly bus staff sitting nearby the bus terminal. Don’t fret, they can speak a bit of English. We hopped into the bus with the number mentioned by the staff and reached the temple in no time. April- September: 8:00 a.m. - 5:30 p.m.
October- March: 8:00 a.m. - 5:00 p.m.
Once you have done your meditation, you can now leave the premises and wander around the area. If you took the bus on the way to the temple, I would highly recommend you not to do so when you’re heading back. Although the walk is going to take a good 20-minute one or so, it is all worth it and scroll down to know why. 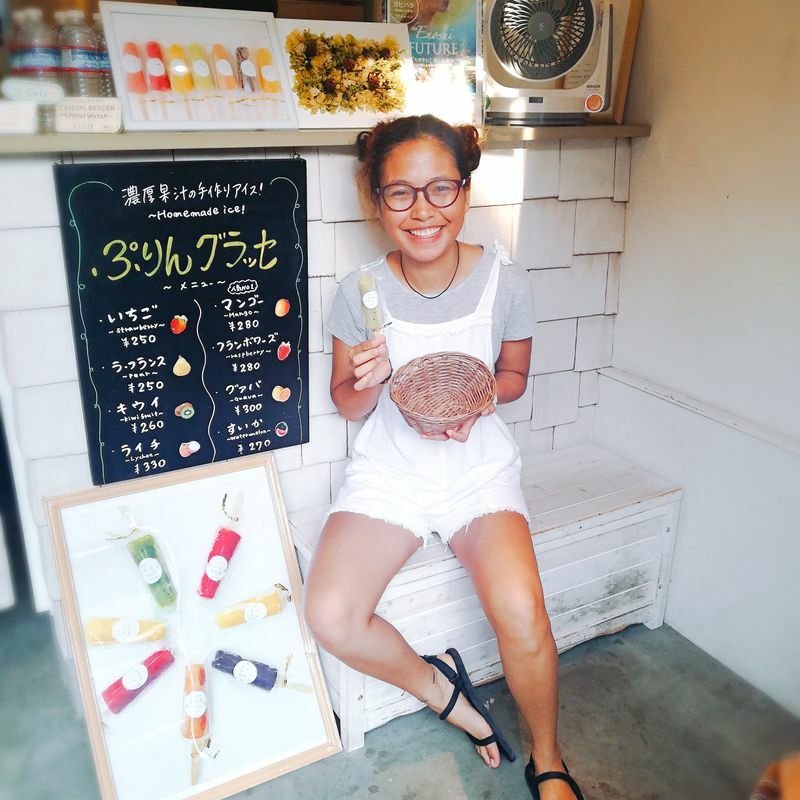 To refresh your brains on a very humid day in Kamakura, you should these homemade popsicles! Although it was my second time in the area, I never really paid much attention to the shops but this time, it was a different story. You HAVE to stop by these place! So worth your 100 yen! And that's all it takes folks! Enjoy the summer heat! Stay salty and hydrated! 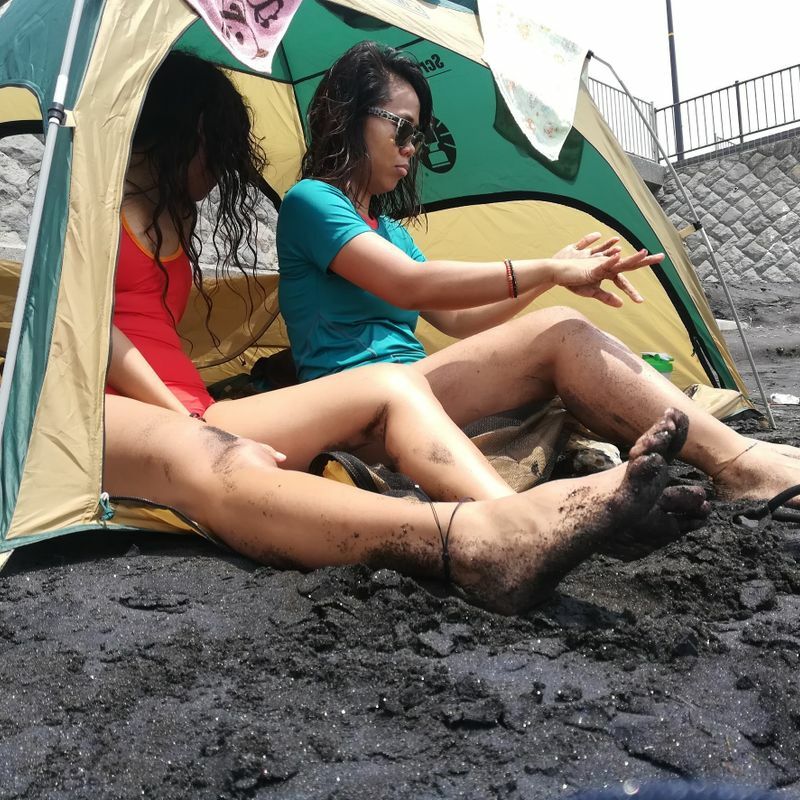 Gallery - Fun, fun, fun under the sun! Thrill-seeker. Normally crazy. Mediocrity bores me. Headset Killer. Thoughtless Discoverer. Never Ending Talker. Serious Joker. Jilai born in July.